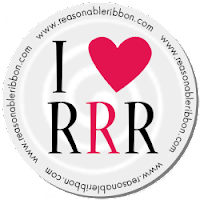 Really Reasonable Ribbon Blog: RRR August Blog Hop Winner! Thanks so much for all the comments with great color combinations. I'll be using this as I plan assortments for next year. Now, on to our winner who will receive the August Ribbon Club Assortment from Really Reasonable Ribbon. I loved this hop! This grouping of ribbon is fabulous! Warm rich colors, perfect for autumn! I love color combination of the neutral browns, with a little bit of orange and teal thrown in for a pop of color!